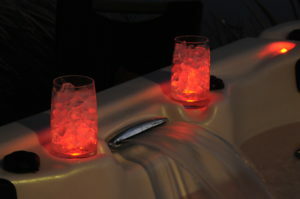 Viking strives to provide the highest quality spas at the most affordable price. Their spas are one of the most energy efficient in drawing the least amount of electricity, while still maintaining optimal water jet pressure. Also, it is their commitment to provide the best value that has earned Viking Spa an impeccable reputation within the spa industry and gained us affiliations with some of the largest retailers in the World. Feel free to check out their products and experience first-hand Viking’s value. Why Choose A Viking Spa? When you look for a spa, one of the first things to consider is quality. Viking Spas was awarded the Presidential E Award for Exporting Excellence, the first ever in the spa industry. Also, Viking only uses parts made in the United States. Furthermore, Viking has been in business for over 25 years and voted a “Best Buy” by Consumer Reports on a number of occasions. Along with the top quality, Viking stands by their work with a Lifetime Warranty on the spa shell. As well as 6-year parts and labor warranty. Visit one of your local Viscount Pools West locations today to find out which spa is best for you!